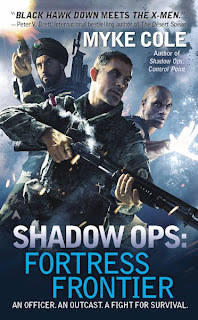 Javelin Rain by Myke Cole picks up immediately after Gemini Cell, the first novel in the precursor series to Cole's Shadow-Ops Trilogy - Control Point, Fortress Frontier and Breach Zone. The Great Reawakening (the return of magic to the world) has not yet happened. However, magic is being used and probed and the Gemini Cell has created 'zombies' - dead animated by the souls of powerful and evil jinn pulled from the soul storm by a sorcerer. Jim Schweitzer (now an immortal undead ex-Navy SEAL) is on the run from Gemini Cell with his wife, Sarah, and their young son, Patrick. 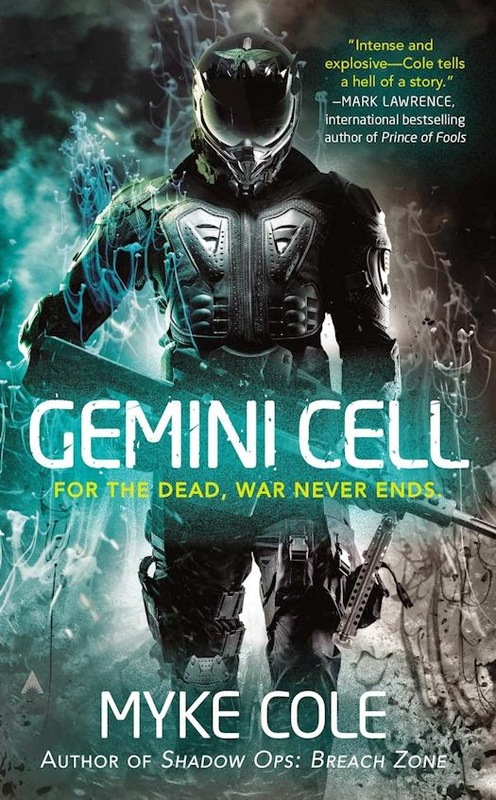 Gemini Cell wants Jim back or dead. Jim wants to protect his family. In Javelin Rain plot nearly takes a back seat to the characters. For me this was really a story about a man's love for his family (Jim 's love for Sarah and Patrick) and the lengths he will go to protect them. Jim realizes, but somehow does not really get, that he can't be with his family anymore. His love for his wife is magical and drives him to behave in ways not at all consistent with his training as a SEAL. He's at the point where he has nothing to lose - he's already dead. - and nothing and no one will stop him from protecting his family. Jawid Rahimi and Dadou Alva are sorcerers and are able to pull jinns/souls from the soul storm into a dead body. Jawid is quickly unraveling. Events from the Gemini Cell seemingly have unhinged him in ways that don't appear to be completely recognized by the people he's working with. He's always been quiet and loner. He's portrayed as a simple person in many ways, but he is constantly fighting against his very strict Muslim upbringing. What he does for the Gemini Cell can't be more antithetical to his religious upbringing and he is constantly at war within himself. Dadou Alva is a horrible person. She is brought in to work with Jawid. She has no redeeming qualities. She's manipulative, murderous and mean. Her background is explained but it is not enough to elicit any sympathy for the psychological / emotional wreck that she is. I honestly kept hoping she would meet an unpretty demise. However, while I despised her she is incredibly memorable. Jim is becoming more and more the immortal 'zombie' than in Gemini Cell - a thinking 'zombie' but still losing more and more of his humanity. He's constantly fighting his new self. He deeply loves his family and it is heartrending to watch him realize that he can not be with them anymore. He knows he can't, yet he yearns and hopes. 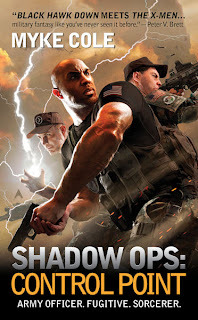 There are times when his love for his wife overwhelms his training as a Navy SEAL, but he is always determined to protect his family no matter what. 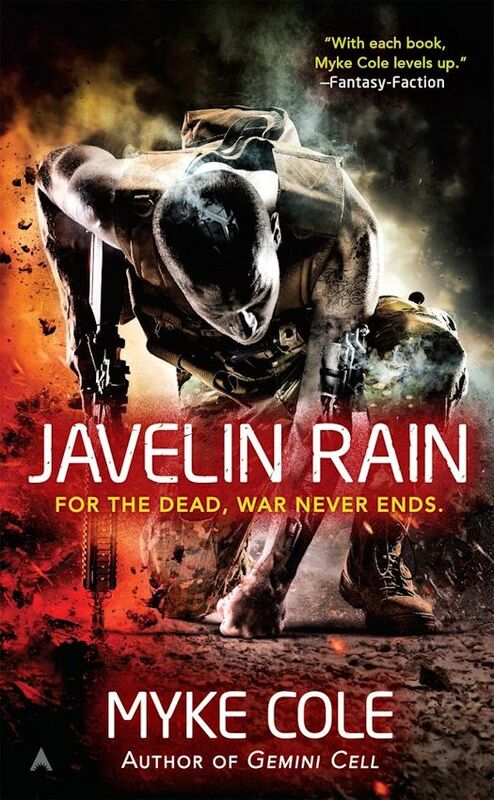 Javelin Rain is a transitional novel between Gemini Cell and the next novel in the series. This is not a bad thing. Nothing is really resolved, but Jim knows what he must do. Bad things happen. Frightening things are revealed, but the novel left me with more questions than answers. 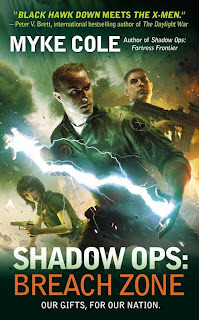 As always Cole's writing is taut and the pacing intense. This is Cole's most deeply emotional work. Having a window seat on Schweitzer's emotions and thoughts is devastating. Cole has deepened the history of the Gemini Cell program and there is still more to be revealed and more uncovered. The Great Reawakening did not come quietly. Across the country and in every nation, people began to develop terrifying powers—summoning storms, raising the dead, and setting everything they touch ablaze. Overnight the rules changed…but not for everyone.